New investments to so-called Smart Grid technologies to replace the current decades-old electrical grid technology will total $200 billion worldwide by 2015, according to a recent research report by Pike Research, a market research firm that specializes in global clean technology markets (http://www.pikeresearch.com/newsroom/smart-grid-investment-to-total-200-billion-worldwide-by-2015). 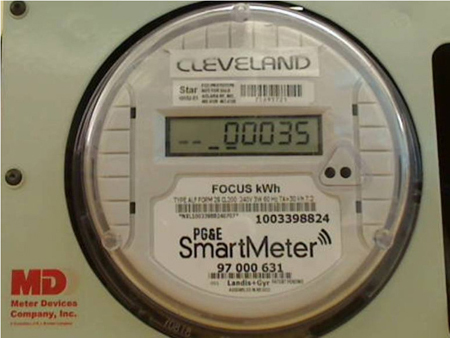 While smart meters are “the highest-profile component of the Smart Grid,” the investments will mostly go to “grid infrastructure projects including transmission upgrades, substation automation and distribution automation,” said Clink Wheelock, Pike’s managing director. If accurate, that opens up a whole lot of potential revenue for a wide variety of companies large and small. Some of the bigs include Qualcomm, Duke Energy and JDS Uniphase, just to name a few. But several small caps are thriving in different niches of the market. Here are a few randomly chosen companies involved in this market. Newton, MA-based Ambient Corporation (Nasdaq: AMBT, http://www.ambientcorp.com/) provides utilities with solutions for Smart Grid initiatives. It has designed a secure, flexible and scalable smart grid platform called the Ambient Smart Grid communications and applications platform. Ambient announced Oct. 4 that it was establishing a European subsidiary to focus on the “growing and vibrant” European market. AMBT has a market cap of $83 million and a 52-week trading range of $4-$9.75. It closed Oct. 9 at $4.89, down 11 cents on the day. San Jose, CA-based Echelon Corporation (Nasdaq: ELON, http://www.echelon.com/) is an energy control networking company. Echelon technologies currently connect more than 35 million homes, 300,000 businesses and 100 million devices to the smart grid. ELON offers a wide variety of products focused on smart buildings, smart cities and the smart grid and it recently announced that two of its products were granted China State Grid approval. ELON’s market cap is currently $166 million and its 52-week trading range is $2.50-$7.43. It closed Oct. 9 at $3.88, down 5 cents on the day. Irvine, CA-based Lantronix (Nasdaq: LTRX, http://www.lantronix.com/) makes products that make it possible to access and manage electronic products over the Internet or other networks. The company offers smart machine-to-machine connectivity solutions and other miscellaneous products that offer remote access, control and printing for data center, enterprise manufacturing, branch office and home applications. LTRX has a current market cap of $27 million and a 52-week trading range of $1.15-$3.40. It closed Oct. 9 at $1.82, down 12 cents for the day. Calabasas, CA-based National Technical Systems * (Nasdaq: NTSC, http://www.nts.com/) is a diversified engineering services company, providing a wide range of testing and engineering services to the aerospace, defense, automotive, telecommunications and energy industries worldwide. NTSC now offers a comprehensive certification program for Smart Grid devices that includes areas identified by major utility companies as vital for new products in Smart Grid networks. NTSC’s market cap is now $86 million and its 52-week trading range is $4.02-$8.80. It closed Oct. 9 at $7.48, down 8 cents for the day. You may know that the term “cloud” as a synonym for the Internet is based on the use of a cloud as the symbol representing the Internet in flowcharts and diagrams. Services that are hosted on the “cloud” are hosted over the Internet. In general, hosted services over the “cloud” come in three service categories: Infrastructure, Platform and Software . A cloud service has characteristics that differentiate it from traditional hosting: it is sold on demand at a given time and the service is fully managed by the provider (the consumer only needs a personal computer and Internet access). A cloud can be kept private for a select group of users or made public for as many users as possible like Amazon (Nasdaq: AMZN) Web Services, http://aws.amazon.com/. Cloud computing is at an early stage, with a fragmented group of providers large and small delivering a slew of cloud-based services, from full-blown applications to storage services to spam filtering. As companies and consumers take advantage of cloud computing technology, there will be significant growth opportunities for data center hardware and services along with demand for virtual services and storage solutions. So let’s take a look at some small cap companies involved in cloud computing. Chanhassen, MN-based Datalink Corp. (Nasdaq: DTLK, http://www.datalink.com) provides data center solutions and services to mid- and large-size companies in the United States. It engages in designing and supporting infrastructures, such as servers, storage, and networks. DTLK has a $170 million market cap and trades about 140,000 shares a day. Its 52-week trading range is $6.11-$11.50. It closed June 29 at $9.55, up 31 cents for the day. Alpharetta, GA-based MedAssets (Nasdaq: MDAS, http://www.medassets.com) provides technology-enabled products and services for hospitals, health systems and other providers in the US. It operates in two segments, Spend and Clinical Resource Management, and Revenue Cycle Management. MDAS has a $790 million market cap, trades about 500,000 shares per day and has a 52-week trading range of $8.52-$14.58. It closed June 29 at $13.45, up 21 cents for the day. Chicago-based Accretive Health (NYSE: AH, http://www.accretivehealth.com) provides revenue cycle management services that helps hospitals and healthcare companies manage their revenue cycles, which encompass patient registration, insurance and benefit verification, medical treatment documentation and coding, etc. Its market cap is near $1 billion and trades more than 1 million shares a day. Its 52-week trading range is $7.75-$32.82. AH closed June 29 at $10.96. up 27 cents for the day. San Diego, CA-based The Active Network (Nasdaq: ACTV, http://www.activenetwork.com) provides organization-based cloud computing applications services to business customers internationally. The company offers ActiveWorks, an organization-based cloud computing platform that transforms the way organizers record, track, manage, and share information regarding activities and events. ACTV has a market cap of $900 million and, trades about 400,000 shares daily. Its 52 week trading range is $12-$20. It closed June 29 at $15.39, up 43 cents for the day. San Diego, CA-based CommerceTel Corp. (OTC: MFON, http://www.commercetel.com) develops marketing solutions and platforms for mobile devices. It provides a suite of services and technologies that enables brands, enterprises, marketers, and content owners to communicate with consumers via their mobile phone. MFON’s market cap is small, only about $13 million and it trades less than 10,000 shares daily. The 52-week trading range is $0.27-$2. It closed June 29 at $0.59, no change for the day. Considering the moves to cloud computing, virtualization and the regular onslaught of information that gets pumped over the Internet by the second, it’s not hard to understand the growing need for data storage. Hence the headline in the recent NY Times Bits blog: “Data Explosion Lifts the Storage Market” (http://bits.blogs.nytimes.com/2011/09/09/data-explosion-lifts-the-storage-market/?scp=1&sq=emc%20howard%20elias&st=Search). According to Bits, the most rapid growth is in the more technologically sophisticated storage systems “that can quickly shuttle data back and forth.” Virtualization software also requires “more capacity and more high-performing storage” so the demand just keeps on growing. Predictably in big pubs like the NYT, the two big storage specialists, EMC and NetApp, grab the highlights and perhaps rightfully so since they are grabbing market share. But there are several small cap stocks toiling in the memory/storage arena that feed products into the datacenter industry that might benefit from the rapidly expanding growth in this sector. Salt Lake City-based Fusion-io Inc. (NYSE: FIO, http://www.fusionio.com/) develops and sells storage memory platforms for data decentralization. The company’s platform enhances the processing capabilities within a datacenter by relocating process-critical or active data from centralized storage to the server where it is being processed. Despite signing up huge customers like Apple and Facebook in recent months, Auriga Securities analyst Kevin Hunt took the rare step earlier this month of initiating coverage with a Sell rating and a $16 price target (http://blogs.barrons.com/techtraderdaily/2011/09/07/fusion-io-slips-auriga-starts-at-sell-16-target/?mod=yahoobarrons) because he believes the stock is too expensive and cash flows don’t justify its current price, according to Barrons. FIO stock closed Sept. 14 at $20.40, down 48 cents on the day. Santa Clara, CA-based Inphi Corporation (NYSE: IPHI, http://www.inphi.com/), among other things, creates high-speed analog semiconductor solutions for the communications and computing markets, including an interface between analog signals and digital information in high-performance systems such as data center servers. It was formerly known as TCom Communications. CEO Young Sohn formerly worked at Intel and is the former President of Agilent Technology’s semiconductor group, now known as Avago Technologies. IPHI stock sold for about $27 in February, but has been falling (like many small caps) throughout the summer. It closed at $9.69, up 24 cents, Sept. 14. 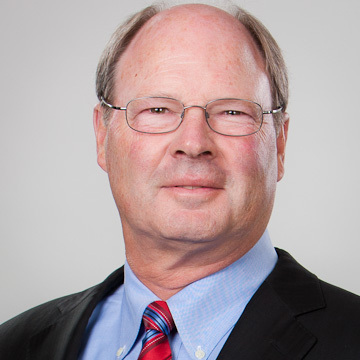 Irvine, CA-based Netlist Inc.* (Nasdaq: NLST, http://www.netlist.com/) designs, manufactures and sells intelligent memory subsystems for the datacenter server, high-performance computing and communications markets. One of its products, called HyperCloud Memory module, was designed to improve server utilization by improving performance in memory-intensive applications such as high-performance computer simulations, virtualization, and cloud computing applications. NLST announced Sept. 13 that HyperCloud has been qualified on GIGABYTE’s high density server motherboard. NLST stock closed Sept. 14 at $1.60, up 6 cents. Last October it traded for nearly $4. * Denotes a client of Allen & Caron Inc., publisher of this blog. When are 2 Googles Like a Cup of Tea? This piece has piqued the technorati’s attention. One Google defender suggested that less frequent trips to the libary to look up information more than offsets his individual searches. Another demands to examine his math. Whatever the validity, it should remind us that Internet use gobbles up a huge amount of electricity. Data centers consume more than 1.5% of US energy use each year. US data centers’ energy use more than doubled from 2000 to 2006, when it reached $4.5 billion. Under current conditions, that figure wil hit $7.4 billioin by 2011. Two small-cap firms that are addressing this issue are Netlist* (Nasdaq:NLST, http://www.netlist.com/) and Amerigon (Nasdaq:ARGN, http://www.amerigon.com/). Netlist develops high-density memory products for server applications. Its low-voltage solutions offer substantial energy savings by significantly lowering power consumption and minimizing cooling costs. Consider that a typical server memory system uses 25% of total system power and Netlist’s modules reduce memory power usage by 30% and 8% of overall server system power. Amerigon provides spot cooling (and heating) by running electricity through a solid-state heat pump. commercially successful in automobile seats, Amerigon and its BSST subsidiary are developing thermoelectric technology applications for larger spaces, such as data centers. The energy saved by providing spot over ambient temperature control promises huge energy savings in a number of personal and industrial applications.